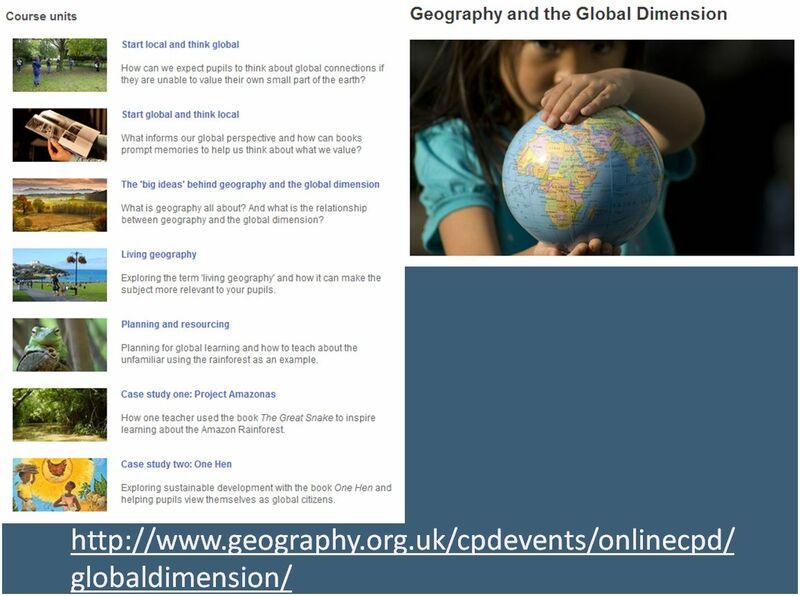 A geographical understanding of the world (places and spaces and people’s relationship with them) supports a greater understanding of global issues / key concepts (interdependence, human rights, values & perceptions, global citizenship, social justice, diversity, sustainability, conflict resolution). The Danger of a Single Story: teachers need to be aware of the limitations of their own perspective on issues, places and people; to broaden and deepen their own and pupils’ understanding and challenge assumptions, prejudice and discrimination. The Global in the Local: recognise the global context of our local lives. Here as well as there: we need to ask the same questions in our own locality / country as in other localities across the world. 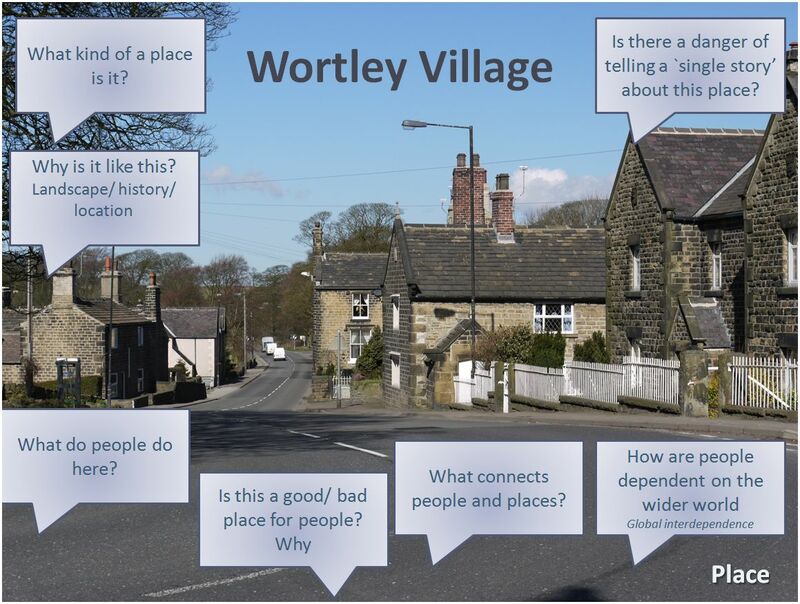 Understanding their own locality helps children to understand distant ones (e.g. look at local forests when studying rainforests).